The Lubavitchers just held a stunningly acrimonious election to pick political leaders.The Repercussions may reach City Hall. NOTHING EVER GOES DOWN smoothly in Crown Heights, so it stands to reason that on the day the Lubavitcher Hasidim are choosing their communal leaders, the place would he crawling with cops. But even by local standards, this election for the Crown Heights Jewish Community Council is a bit absurd. 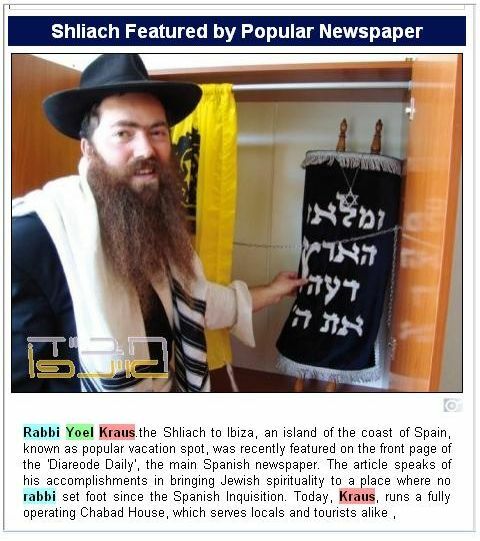 Shmira member Yitzchok Shuchat: Suspect in beating of cop’s son fled after the incident to Israel. 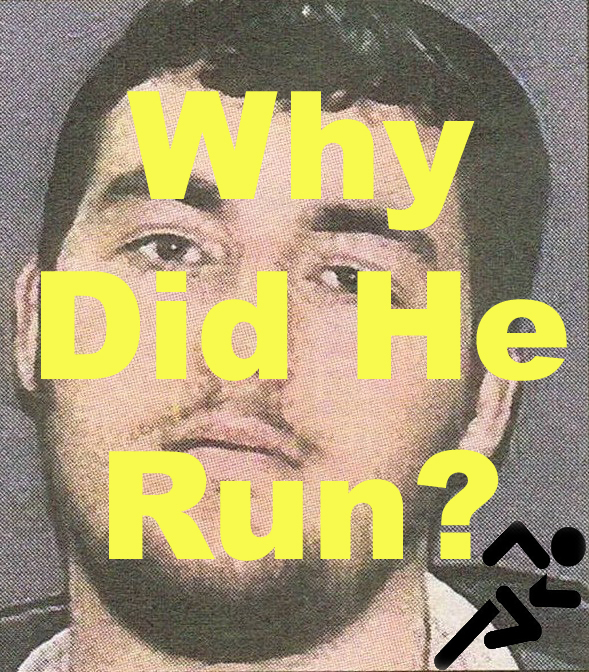 Innocent people don’t run! 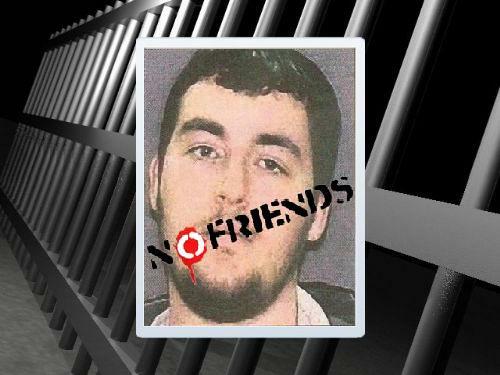 Baltimore, MD – A former member of an Orthodox Jewish neighborhood watch group convicted in the beating of a black teenager has been sentenced to probation. 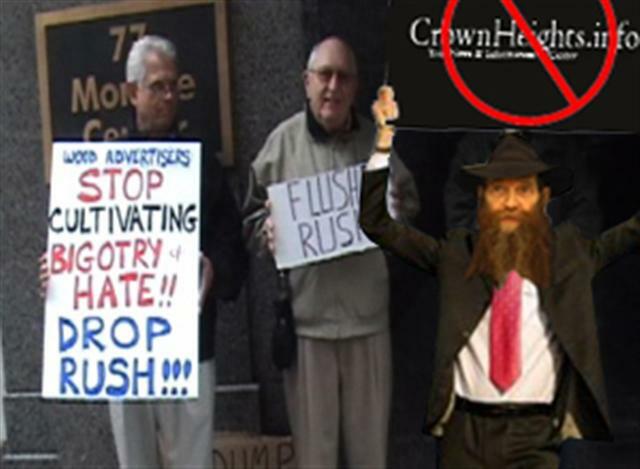 Is Crownheights.info the Rush Limbaugh of Crown Heights? Several advertisers of crownheights.info have contacted WIS and have shared the following information. Eli Cohen, executive director of the Crown Heights Jewish Community Council, Inc. (CHJCC) has been actively engaged in a anti crownheights.info campaign. 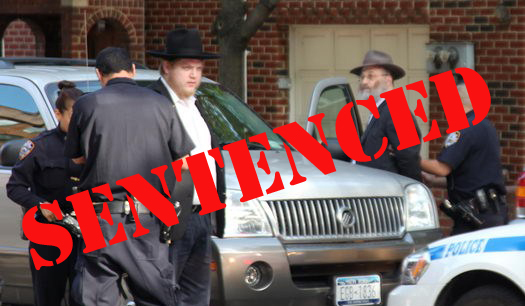 [CHI] During the seminar on combating child abuse in the Crown Heights community this past Sunday, attorney Elie Poltrack stood up and berated District Attorney Charles Hynes over his indictment of Shmira member Yitzchok Shuchat. The prosecutor is seeking Shuchat’s extradition from Israel over the latter’s alleged beating of Andrew Charles, an African-American teenager. After a heated back-and-forth between the D. A. and Mr. Poltrack, the chair of the seminar requested that the focus of the meeting shift back to the cause of child abuse prevention, to the noted approval of most present. 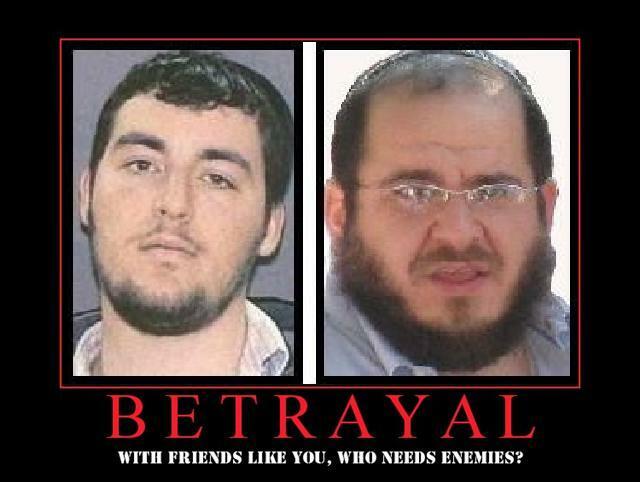 About one year ago on June 29, 2011 both Efraim Setton and Levi Paul Huebner were arrested as a result of beating up another Jew and attempted to flee from police. Between the two of them they were charged with Assault, Resisting Arrest and Evading, as well as Obstruction of Governmental Administration among other charges. Paul Levi Huebner daughter Sarah Mina Setton (married to Efraim Setton) has been arrested for assault. Sarah Mina Setton (nee Huebner) being led away in handcuffs. 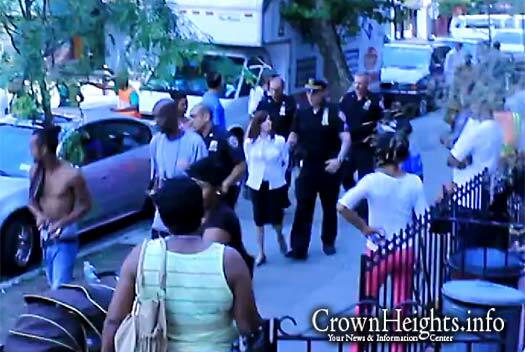 A scuffle broke out yesterday between a Jewish Woman and an African-American teenager at Crown Heights’ Brower Park. According to witnesses, the altercation broke out when a young African-American girl threw a glass bottle, after which the Jewish woman went over and punched the child. This caused an uproar among the many African-American bystanders, one of whom called the police. 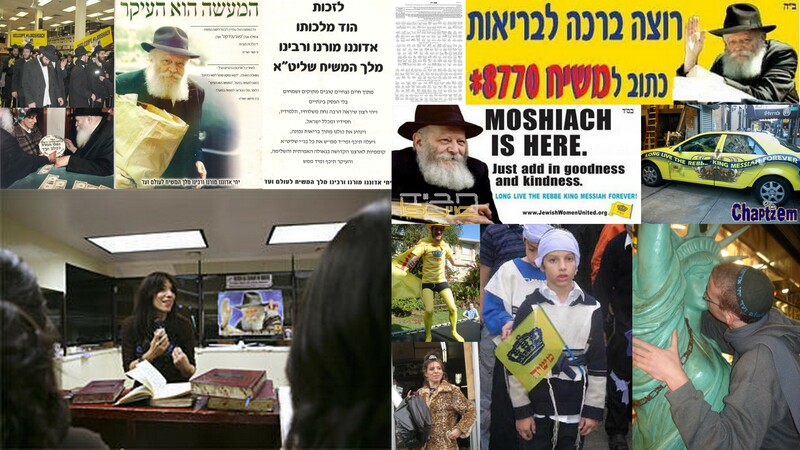 (R/L) Shmira members Yitzchok Shuchat and Yaakov Prager. Notice: WIS had no intentions of writing anything up regarding this issue (WIS has already written all there is regarding this issue), both the Shmira Mesira and Shuchat are irrelevant, but being that someone did take the time to write something, WIS will post it. Todays forum talked about how to take precautionary steps in creating policies etc… in order to PREVENT a crime from taking place. Your question for Hynes was out of left field…. 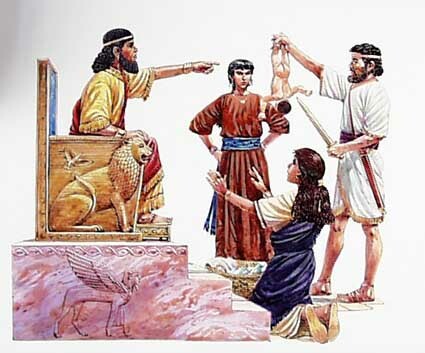 You chose to come to this forum along with your side kicks to bring up the case of the Mosser Yitzchok Shuchat to which you and only you are directly responsible for.